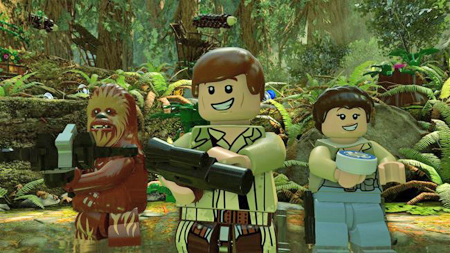 Lego Star Wars: The Force Awakens has remained at the top of the UK retail charts for the second week in a row (despite a 54% drop on the previous week’s sales). The Wii U version of the game released last week, bringing the total up to seven physical formats for the Lego juggernaut. Overwatch is climbing again by taking second, and Doom has knocked FIFA 16 down to fourth by taking third spot, this due to recent price promotions on PS4. The retail edition of Rocket League also continues to do good business, and Carmageddon: Max Damage debuted this week in 22nd. This entry was posted on Monday, July 11th, 2016 at 2:40 pm and is filed under Gaming News. You can follow any responses to this entry through the RSS 2.0 feed. Both comments and pings are currently closed.